Unsurprisingly after a 3am bed time, day three got off to a rather slow start. But a good one! Breakfast was actually lunch back at The Manzoni, with a lovely group of people and delicious food. 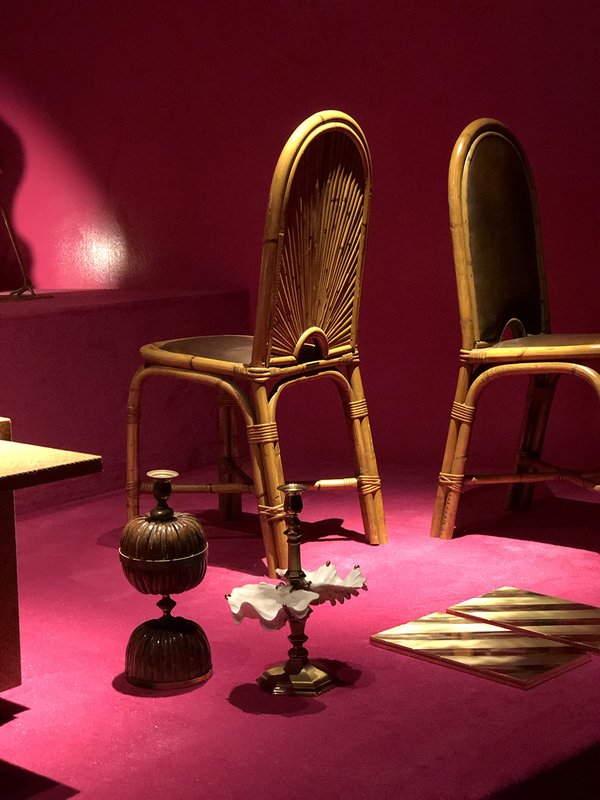 A less intensive afternoon than the day before consisted of wandering around the Brera design district and coming across great things like the L'Objet pop-up checking out their collaboration with The Haas Brothers which is inspired by the landscape of Joshua Tree. I'm not normally a fan of cutesy things, but sometimes cute gets just the right balance of cool too, and this collection does exactly that, consisting of monsters that are soup bowls, and coaster holders, an smoke bellowing incense burner, salt & pepper shakers and coffee pots. The Mojave Palm candle was absolutely to die for and anyone that knows me knows that I'm VERY fussy when it comes to scented candles. I want one. And yes, they are also VERY expensive. 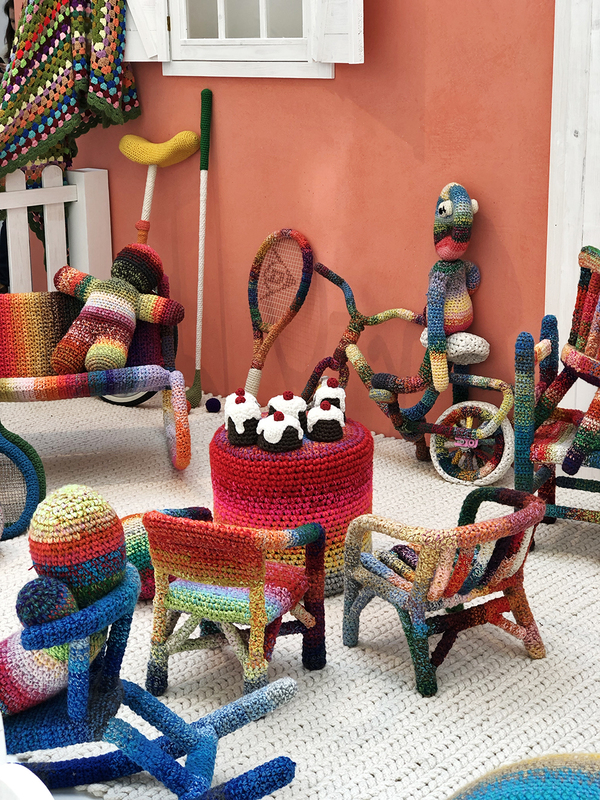 We also stopped by the crocheted Missoni installation 'Home Sweet Home' and I can't say it was a favourite - I feel we've seen crocheted or knitted everything a billion times now and it just left me cold. Just me? Too harsh? The on to Diorama, a collaborative space showcasing pieces from Mingardo and Studioart among others. Now this, I fell for big time - the leather tiles and colour palette in this room set are just divine! Next up was a bit of a queue for Dimore Studio's 'Visioni' - one of my favourite exhibitions of the entire week. 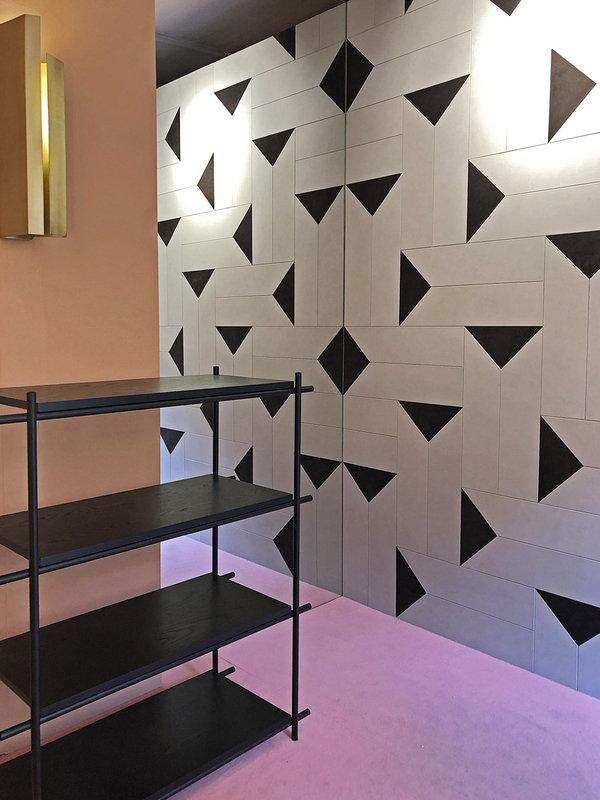 Dimore have reproduced seven pieces by the late influential Milanese artist and designer Gabriela Crespi which were originally designed in the seventies. 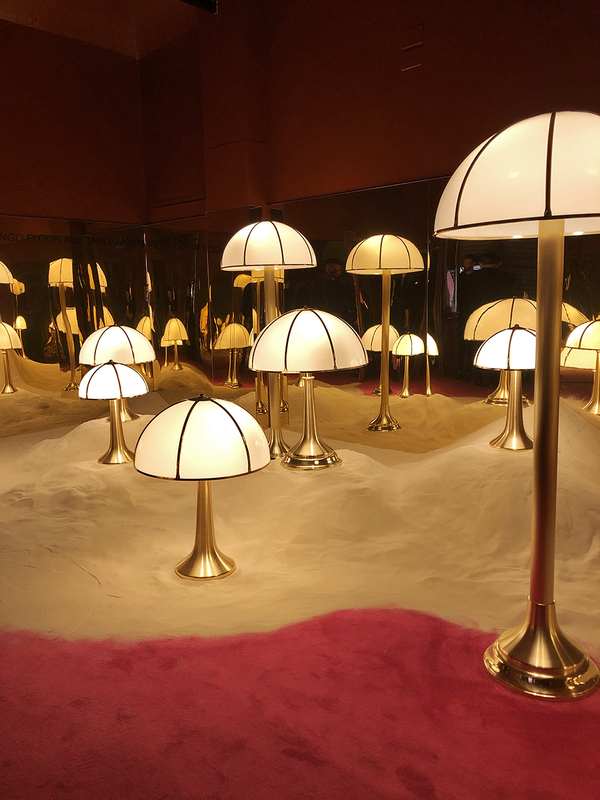 The collection includes the Fungo lamp and wall sconce and several coffee tables using materials such as brass, bronze, lacquer and plexiglass. 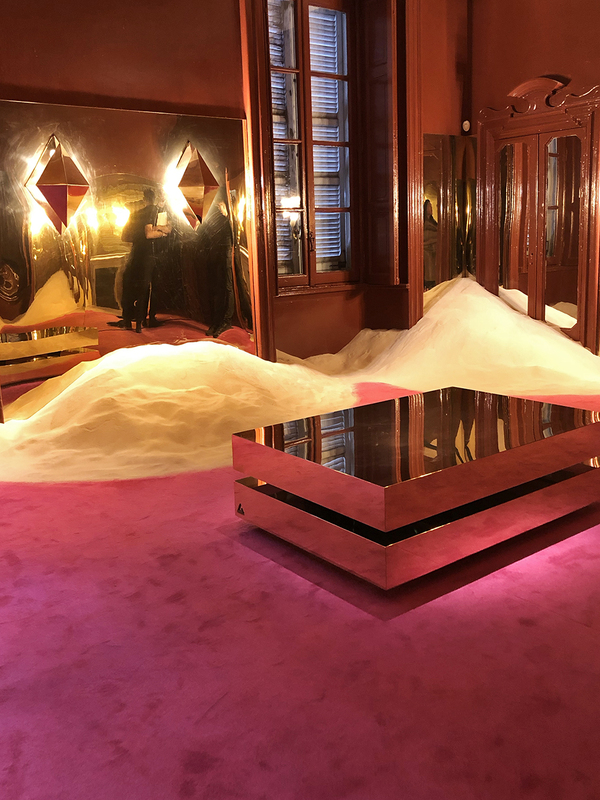 Set against a backdrop of fuchsia carpet, burgundy/brick red walls with reflective brass panels and sand, it was a surreal visual feast and I never wanted to leave. They even got the soundtrack spot on (anyone know what it was?). And in fact, can I go back and stay? Please? 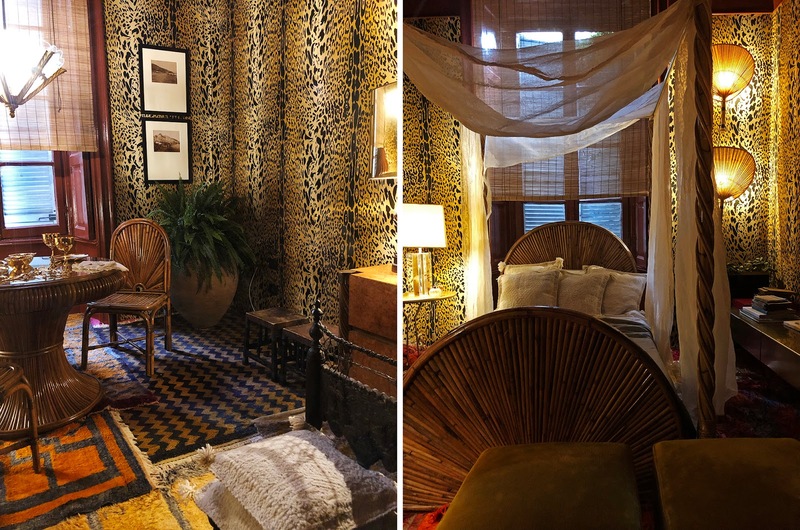 Also on display were some of Crespi's original pieces from her archive including bamboo chairs, and an original Fungo lamp, and two stunning room sets which were perfect examples of maximalism done right - in a cohesive and considered way. Across the courtyard from Dimore was the Salvatori installation and I'll let the pictures do (most of) the talking. Let's just say, this was best described as stone and bathroom heaven. 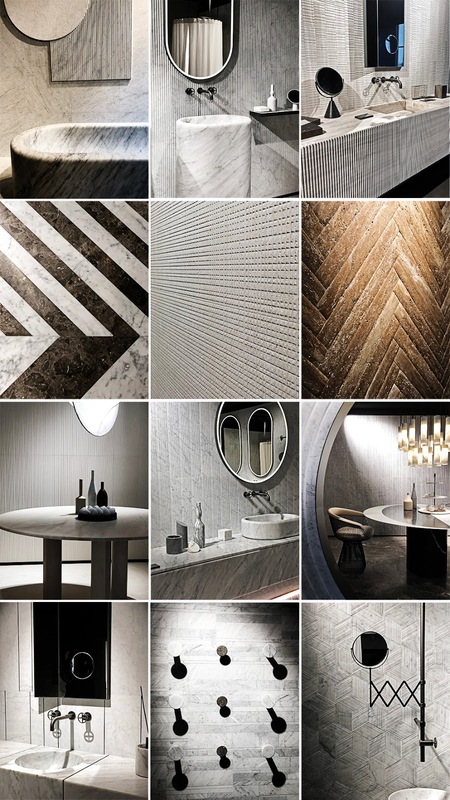 Just look at the textured stone cladding and tiles! 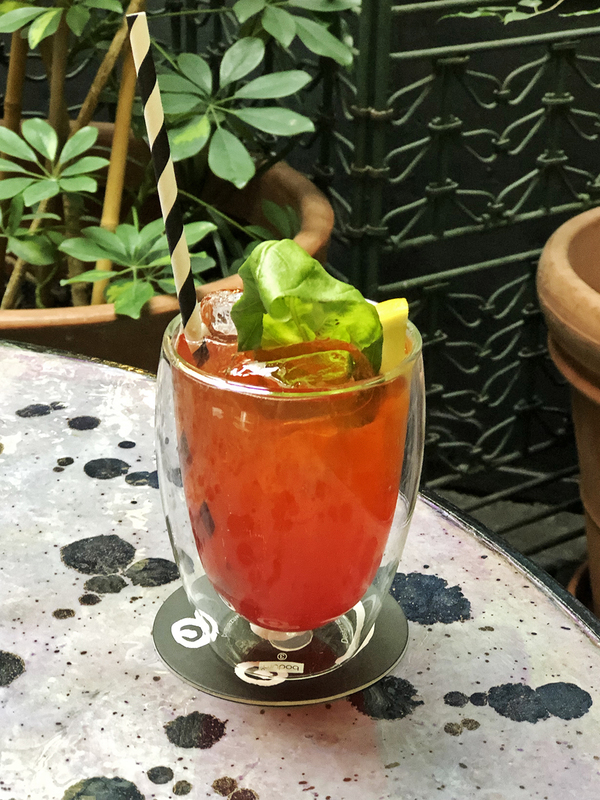 An extended pit-stop at 10 Corso Como in the covered courtyard for a bit people watching a couple of (amazing!) Watermelon and Raspberry Spritzes followed, and obviously a mooch around the store. Luckily I was only doing hand-luggage and literally couldn't squeeze another thing in, or my wallet would have been well and truly empty. Battery and power adaptor woes meant no more photos for the rest of the day, but needless to say, we had lots of fun at the Cos and Humanscale parties that evening! All images copyright Bianca Hall except where noted. Please be a good human and make sure you credit and link / tag me if you use them. Come back tomorrow for my Day Four Diary instalment, and approximately five billion photos!